Terrific but sometimes skids--buy two! I do like the "stickiness" and cushion of this mat, but for the $12.99 I paid 2 years ago and combined for free Super saver shipping it very good, but for nearly 20 bucks it's average and not super impressive. I am 5'3" and find it just right for me. 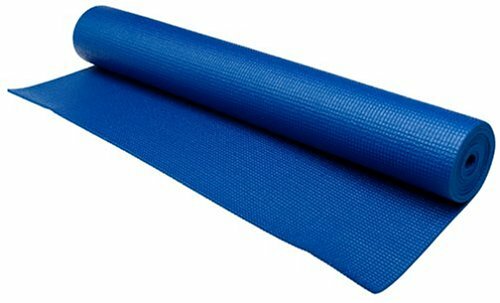 I use it mostly at home but I took it to a highly regarded and priced class of a local yoga teacher and one of the first comments made to me was how narrow the width of my mat was =-/ Oh, well of course being small I had never really noticed because the mat is AVERAGE, but you may if you are taller and wider. For the current price plus burning fuels to get one I would recommend a local sports shop or general Dept. store.